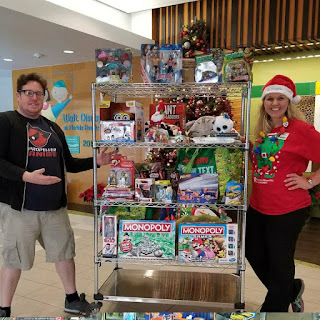 Propeller Anime: Thank you for donating to our Toy Drive! Thank you for donating to our Toy Drive! Last week was our final Anime Nite Orlando of 2017, and we closed the year out with a bang! 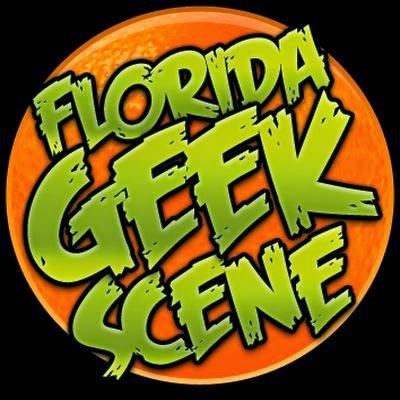 We watched the fantastic Makoto Shinkai film Your Name and had a charity toy drive that benefited Florida Hospital for Children. As you can see, we had a great haul of holiday gifts for the kids, and we thank all of you who came out last week and donated. 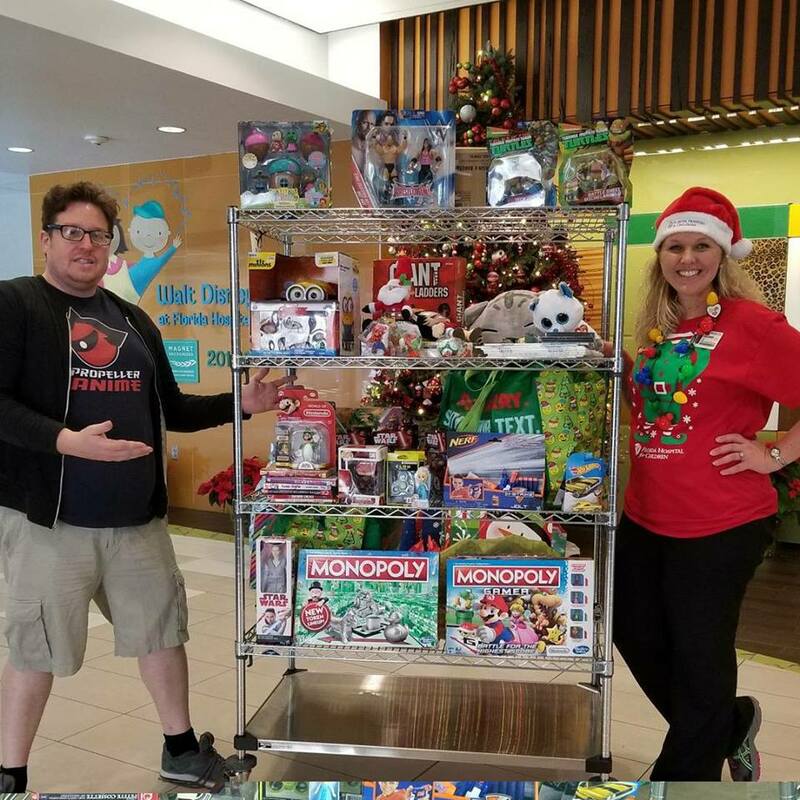 The staff at Florida Hospital for Children was thrilled to get everything, and we hope to work with them in the future. 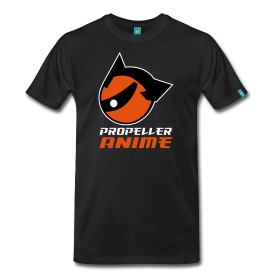 2017 has been a fun year for Propeller Anime, and it's because of you guys that has happened. We hope you all continue to have a safe and fun holiday and a Happy New Year!